Bayern Munich winger Kingsley Coman faces another spell on the sidelines after undergoing a successful operation on a ligament tear to the same left ankle that required surgery in February. Coman was caught late by Hoffenheim’s Nico Schulz towards the end of the first half of the 2018/19 Bundesliga season opener at the Allianz Arena. The 22-year-old was in tears as he lay prone on the pitch, and was consoled by team-mates before being helped off by medical staff. The Frenchman is expected to be sidelined for the foreseeable future, but Bayern sporting director Hasan Salihamidzic has said the club will "support him all the way". "I'm convinced Kingsley will come back stronger," he added. 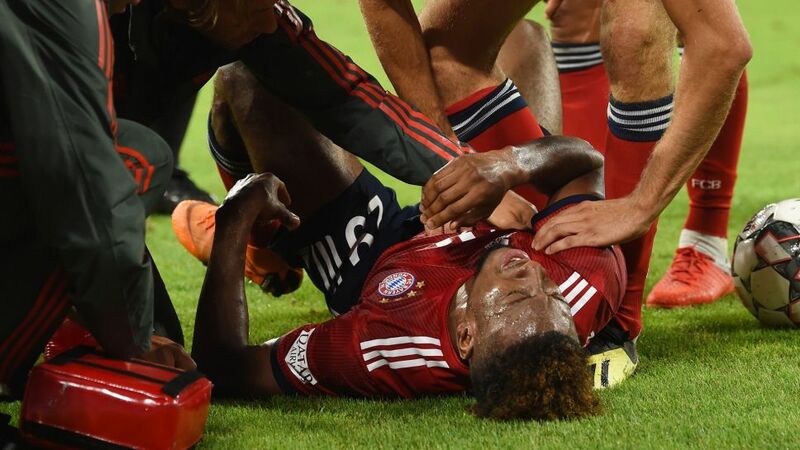 The injury represents another setback for Coman, who was beginning to show shades of his best form after being restricted to 21 Bundesliga appearances last season. He missed the final three months of 2017/18 and was left out of France’s 2018 FIFA World Cup-winning squad. With Coman receiving treatment in the dressing room, his replacement Arjen Robben made a telling contribution to proceedings in Munich, having a goal ruled out before scoring late on as Bayern began their title defence with a 3-1 win. Thomas Müller and Robert Lewandowski were also on target either side of Adam Szalai’s equaliser. Bayern are next in action away to VfB Stuttgart on 1 September.